Retired Lt. 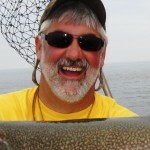 Colonel Jeff Fishack is an all purpose fisherman. 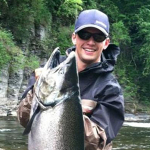 He excels at staging King Salmon fishing! 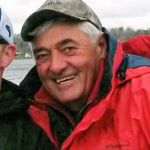 Dave has been with the Saiff fleet since he started fishing lake ontario. One of our best young captains. 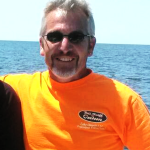 Dave has been with the Saiff charter fleet for 14 years. Jeremy has played a significant role in the Saiff charter team for the past 30 years. George runs the “Saiff Charter 4” and has been with the Saiff team since 1982. 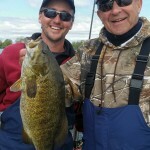 Mike is one of the best spring fishermen on Lake Ontario and a strong force throughout the entire season. 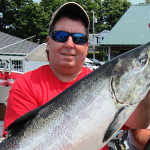 Pete is a veteran of Lake Ontario angling bringing a high level of expertise to summer trout and salmon fish. 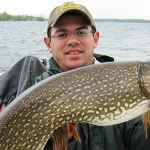 Zak is a formidable Lake Ontario fisherman but he also organizes our river and stream trips for fly fishermen. Mike is a captain in training and a great mate for the Saiff charter team. Mike’s dad is “The Legend” Capt. George Kogut. Capt. 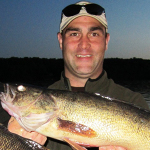 Jason Julien is a dynamic fisherman with a knack for catching summer Kings. He also is an accomplished river guide (drift boat) and the Saiff Team looks to Jason for expertise in the tributaries. 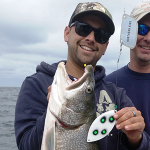 Rich has a vast knowledge of tackle and helps the Saiff Fleet stay connected on the latest gear for fishing Lake Ontario. 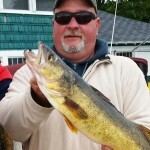 Rich is at home fishing warm or cold water species of fish. Capt. 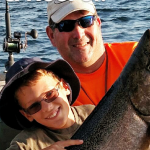 Bill Saiff Jr. is a “Living Legend” on Lake Ontario. 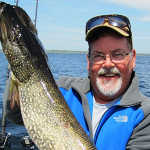 The former HOST of the television series “Rod & Reel”, he has been working the Big Pond professionally for 35+ years. Capt. 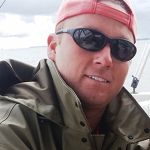 Bill Saiff III is the owner of Bill Saiff Outdoors. 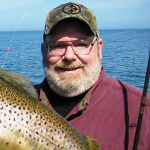 One of the most prolific Captains on Lake Ontario, he is known for his prowess on Big Browns and Hot Zone Kings.